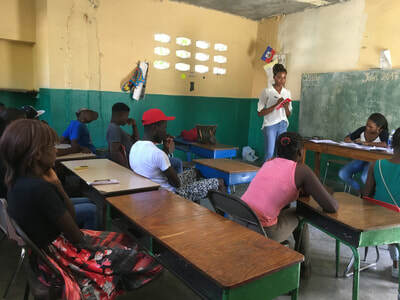 ​Nano-Loans and CDR-Based Credit Scores: A Gateway to Financial Inclusion for Unbanked Haitians? To increase standards of living in the long-term, poor households require financial products that are attractive, accessible, and strike the right balance between flexibility and constraint. Digital credit offers a novel platform for such products and broader financial inclusion. In Haiti, 87% percent of the population lives on under $4 USD per day, with many facing irregular incomes and limited borrowing and saving options. In 2018, Digicel Haiti (a telecommunications company) will launch a new product that uses a SIM-card specific credit score to allow customers to access nano-loans quickly and easily through their mobile phones. The imminent launch of this product provides a unique opportunity to study how digital credit stimulates financial inclusion and impacts household welfare. The evolution of this product also provides the opportunity to explore how to best optimize the credit scoring algorithms used by Digicel to determine loan recipients. To better understand the potential welfare impacts of such mobile financial services, the research team conducted ten Focus Groups Discussions in and around Port-au-Prince. 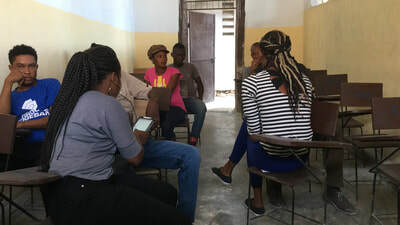 The reality of the mobile payment ecosystem in Haiti led the research team to center its analysis on MonCash, the most widely used mobile payment system. Researchers led these ten focus groups with a total of 137 people from low-income neighborhoods, whose average reported income was $36 USD during the last seven days. The idea of accessing credit over the phone is not new to Haitians, as most people already use top-up advances. In fact, participants frequently mentioned DigiKredit, a product that enables Digicel clients to recharge their phones with a line of very short term top-up credit, as a similar product. The usage of DigiKredit introduces customers to the idea that their phone line is a collateral that will be lost if credit advances are not paid back. This parallel made the introduction of the nano-loan product easier. During the discussions, the researchers realized that another important group of users of Mon Cash are those sending remittances from outside of Haiti. To better understand their attitudes and patterns of usage, researchers conducted short interviews with several representatives of the Haitian community in the Boston area. Findings from these surveys will complement the lessons learned in Haiti. 70% of the sample reported receiving remittances from abroad, which is not surprising given the large Haitian diaspora, especially in the United States. The average household in the sample receives an average of $319 USD each month. Interviews with the Haitian diaspora in the Boston area provided deeper insights from the sender’s perspective. Interestingly, the Haitian population living in the US (except for the most recent arrivals) reported to be less at ease with electronic transfers and were not fully aware of the mobile money products in Haiti. Instead, they rely heavily on traditional remittance services like Western Union or MoneyGram. The researchers found that while the target population has limited access to formal credit, they often rely on small loans from family and friends or from informal lenders to cover critical needs – especially for food expenses. For most, it seems likely that these informal loans only partly cover these needs such that households must still reduce consumption to help make ends meet. Men are more likely to lean on informal lenders or pawn shops; women are more likely to lean on friends and family. This pattern may suggest that men desire financial confidentiality more than women, which may make confidentiality feature of the nano-loan product particularly attractive to men. Although many in the target population are familiar with informal savings and credit options – and with a wide array of lottery games – they have low levels of financial literacy pertaining to more formal financial services. The simplicity of accessing nano-loans is an advantage for this target population, but providing clear and relevant information on loan conditions is going to be a key challenge for the long-term success of the product. More experimentation is needed to find better ways to provide information to customers under the limitations that interaction through mobile phones imposes. Focus group participants described high volatility of their income sources (52% of interviewees plan only for the week ahead). While informal loans are often used to make ends meet, fixed interest rates and repayment schedules are uncommon and are believed to increase the risk of default given the volatility of the underlying income stream. This perspective may change as formal financial literacy and improves. Close collaboration with Digicel throughout this study ensures that lessons learned will be shared with the management team and, potentially, integrated into the evolution of the MonCash nano-loan product and the broader family of mobile financial services. If the pronounced gender differences that emerged in the focus group discussions manifest themselves in the live nano-loan product, there may be specific implications for product targeting and marketing. This study may also shed light on the design and effect of simple, scalable financial literacy training tools, which could be easily transferred to other mobile financial products. Importantly, the potential relevance of this study extends beyond Haiti. 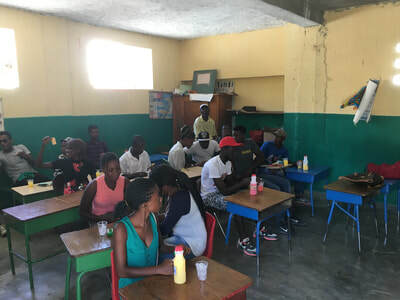 Although Haiti is particularly poor and food insecure, many of the other countries in which Digicel operates have vulnerable populations for whom the short-term consumption benefits of nano-loans may be compelling.